Proteini joined our Mission to help provide access to “Clean Water for All by 2030”. This Mission was initiated by the United Nations. 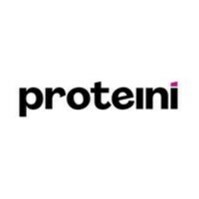 A big thank you to Proteini’s team and customers for joining this extremely important mission on 06 February 2018. We are a bold, delicious cafe- packed full of homemade, healthy options. Open for breakfast and lunch, loving your body has ever been so easy. Your body is a machine, you can’t just throw any old fuel in the engine and expect it to run efficiently- you need carbohydrates, good fats, fibre, vitamins and nutrient rich foods. We want to help you fuel your body in a way that is healthy and more importantly affordable. Being healthy can be expensive and over complicated - Proteini takes the hassle out of the preparation with a seasonally and specially designed menu packed full of all the things your body needs.